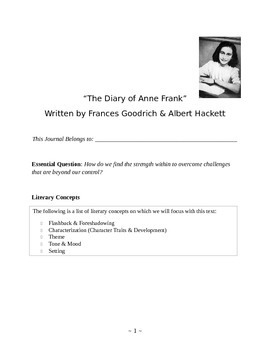 This student journal was created for use in teaching "The Diary of Anne Frank," the dramatic version written by Frances Goodrich and Albert Hackett. 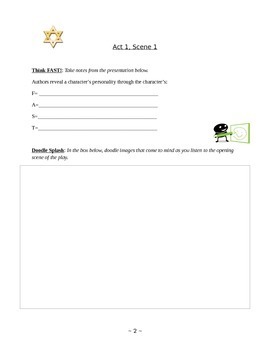 This ten-page journal is broken down by scene in which students work to analyze everything from mood to character motivations. 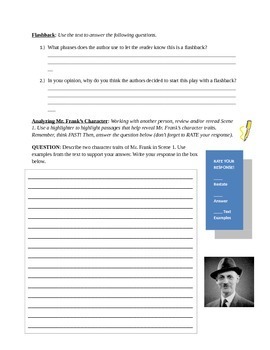 It also has students work on skills such as paraphrasing, analytical writing, and supporting claims with text evidence. This journal is also references page numbers specific to the McDougal-Littell textbook. I have uploaded this product as a Word document so that it may be modified as needed.